Okapi’s Urban Transformation portfolio is sensitive to the need for collective and strategic action for a more sustainable urban future that fosters urban growth while paying attention to cities’ social and environmental concerns. With that inspiration, we design, pilot, and develop blueprints of innovative institutional solutions for complex urban problems. In this effort, we draw upon critical and innovative social-scientific research techniques to enable governments, industries, and communities to foster more sustainable urban quality of life for all. Okapi experts have extensive research and consulting experience working in India and internationally on diverse urban challenges and opportunities. This work ranges across urban planning, civic-engagement, e-governance, transportation, solid waste, energy, water, and green space management. Okapi experts drafted background papers, case studies, and analysis of institutional design options for national, state, and urban transport governance in India. Our contribution to the Committee's report considered various aspects of governance, from strategic planning to public investment monitoring. Background paper on institutional design options to enable more flexible PPP contracts that are better able to survive negative shocks and capture value from positive surprises. 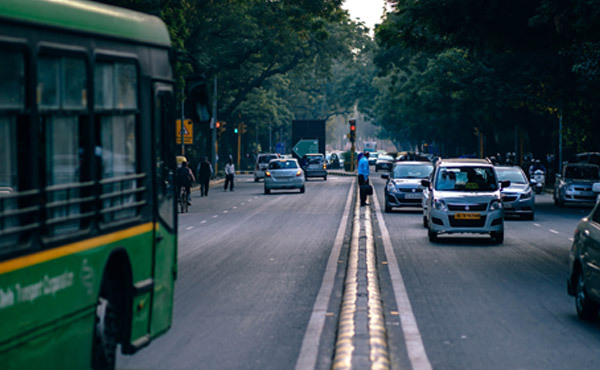 Okapi worked with TERI and the Shakthi Sustainable Energy Foundation to analyse the institutional framework for vehicle emissions testing at the national and state level in India. We developed a variety of institutional design upgrades to strengthen the in-use inspection and maintenance regime.